Walt Disney has just released the first official trailer for the live action version of their 1941 classic film, “Dumbo”, which itself is adapted from the novel by Helen Aberson and Harold Pearl. 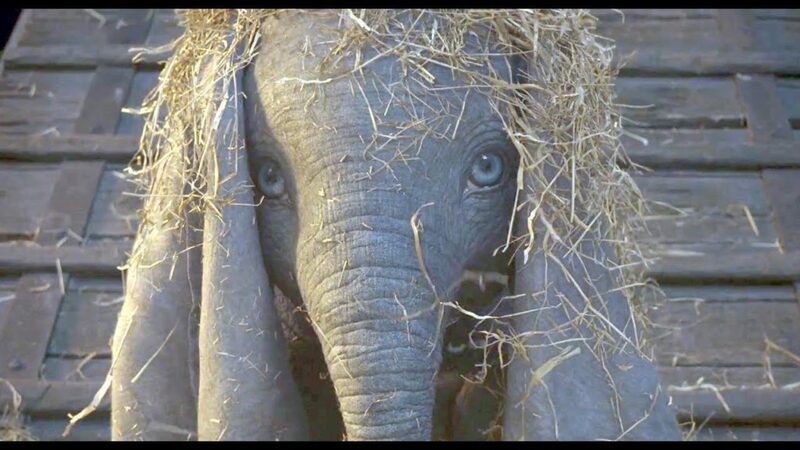 The film tells the story of Dumbo, an elephant born with unusually large ears, and his life in the circus. One day, his mother is taken away and he goes on adventure to rescue her. As you probably guessed, the core focus seems to be on the human characters. While we do see the mice, it is not clear whether they are capable of speech like in the original film. Dumbo himself has no spoken dialog in that film so the same can be said for the live version. An actual baby elephant was most likely used to create Dumbo who looks impressive. In the original film, Timothy Q. Mouse help Dumbo cope after his mother is locked in a cage following an incident involving her going after an attendee at the circus for bullying her son. Here, the role of caring for and keeping Dumbo’s spirits up falls on the two children who have befriended him. Dumbo, starring Colin Farrell, Michael Keaton, Danny DeVito, Eva Green, and Alan Arkin, takes flight on March 29 2019. The film is directed by Tim Burton, making this the fifth Disney film he has directed.